Pat's school photo package includes one large photo and several smaller photos. The large photo is similar to a photo measuring 2 in. × 1.5 in. 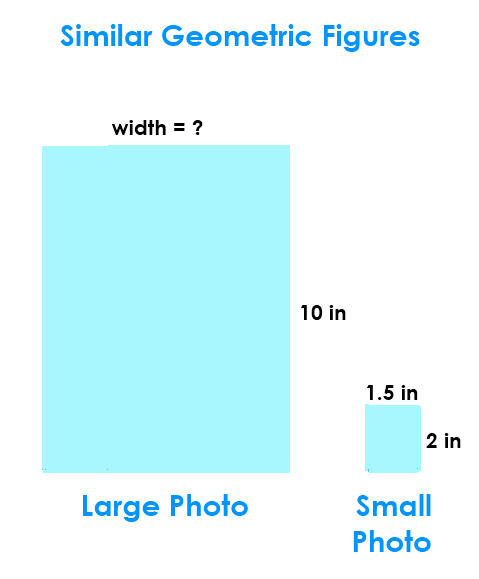 If the height of the large photo is 10 in., what is its width? Since the large photo and the small photo are similar geometric shapes, you can solve for one dimension (either width or height) of either figure as long as you know the scale factor. The scale factor is a ratio which can be computed from the information given in the problem statement. 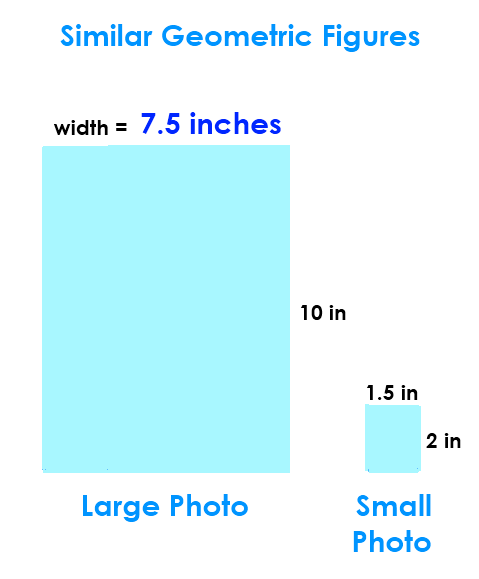 The ratio is the length of one of the sides of either photo to the length of the corresponding side of the other photo. Regardless of whether the scale factor is computed based on the height of the two photos or the width of the two photos, the numerical value of the scale factor will be the same.